Taking a bite from the best chocolate bars is like tasting the beginning of happiness. Chocolate bars are so popular among people of almost all ages since they are yummy and easy to find. The thing is what are the tastiest chocolate bars that we should try? What is your most favorite chocolate bars? You might have your most favorite chocolate bar choices, but I want to bring more choices for you. Here we have 15 best chocolate bars that you might want to try, because they are so so so good! We all know Kit Kat, one bite and we will go for more and more. I don’t know about you guys, but it gets more crispy after putting into the fridge about 15 minutes. If you haven’t tried it yet, you really should! Here we have our second best chocolate bar voted by chocolate bar lovers out there. Snickers consists of nougat topped with peanuts and caramel along with milk chocolate. Just like Kit Kat, they taste better when they are cool and crunchy. You will love Twix since it has a combination of biscuit and more toppings and coatings. The great part is you will get 2 or even 4 bars in a package which is cool. That makes a few packages of Twix enough for snack. Milk Chocolate is something unique and tasty when it comes to chocolate bars. The bar looks like an ordinary chocolate except the taste is specially different when you take a bite. They say this chocolate bar makes you feel like the taste is absolutely out of the world. You might want to give Milky Way a try, and let us know how was it taste like if you had. This is more than just any common chocolate bar, it is the milk chocolate bar with crisped rice. The chocolate bar has been people’s favorite since 1938, and you should know why. If you love peanut butter then don’t missed this tasty chocolate bar right here. There is only one bar in the package, but the bar contains crispy core of peanut butter with sugar candy. The chocolate coating makes the whole taste tastes even better. 3 Musketeers is a chocolate bar covered in chocolate with more fluffy whipped chocolate inside. Chocolate and chocolate, I believe this is among the best. Speaking of chocolate bars, Baby Ruth is one of a kind. With the mixture of peanuts, caramel, and chocolate, Baby Rith chocolate bar brings out the incredible taste that you will love. The best is yet to come because this Almond Joy is something you might have never tried before. One bite, and you will taste coconut, almonds, and milk chocolate. Sounds like something to eat when your chocolate mood is on. If you have eaten Oreo, you would know how it tastes like to try this chocolate bar. The taste is uniquely similar to each other. Named after a successful game show series, this chocolate bar is also a successful creation as well. 100 Grand Bar has been people’s favorite chocolate bar since 1966. The taste? You palate will feel chocolate, caramel, and crisped rice altogether. This is also one of well-known chocolate bars among chocolate lovers as well. The chocolate bar are actually wafers filled with peanut butter and covered in milk chocolate. Yummy!!! No kidding British has great taste in chocolate, and Mars is the best proof why. The thick chocolate coat outside makes the core inside even more tempting. There are a lot of different flavors varies in countries, and they’re all amazing. The best way to describe this chocolate bar is by imagining the taste of honey, smooth milk chocolate, and almond nougat. You combine the taste together, and you will feel how tasty this chocolate bar can be. 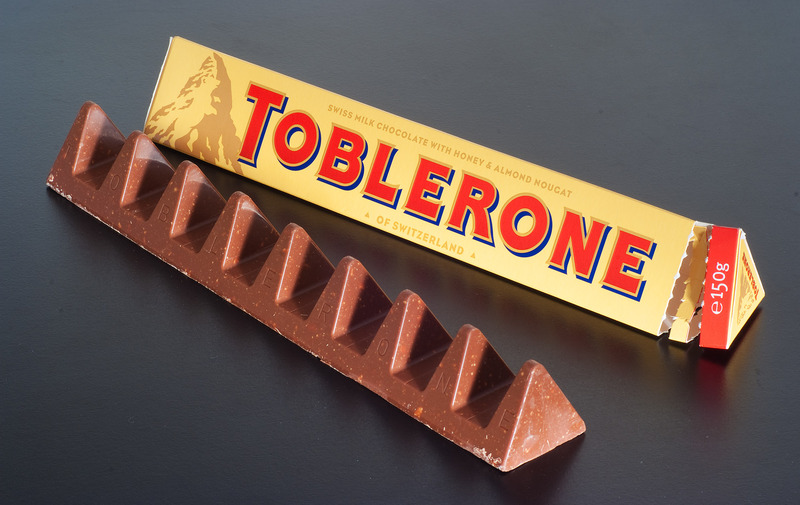 Even the shape of the chocolate bar itself is unique, you really should try this one.